A year after launching Fort Lauderdale-based Tap 42 in 2013, the ownership group—including executive chef Andrew Balick—acquired the land next door and filed permits for a proposed Mexican restaurant. 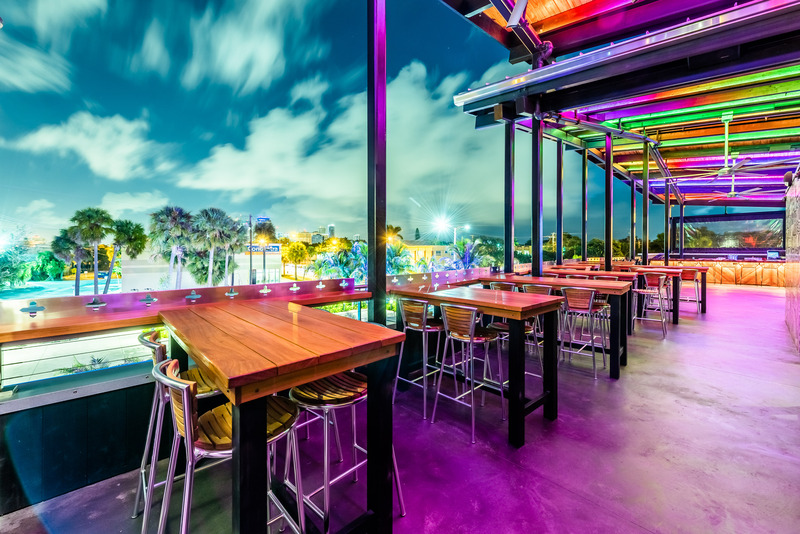 But the plans for what ultimately would become Bar Rita went to the back burner when the team decided instead to expand Tap 42 into Boca Raton, Coral Gables and Aventura. Somewhere on Balick’s home computer is a file with 14 versions of the Bar Rita menu. Ultimately, he settled on a sophisticated-but-accessible slate of small-plate offerings (including seven featured tacos) and hearty meals—like Rita’s fajitas (below), which incorporate the likes of marinated chicken, chile lime filet mignon and Baja-grilled shrimp. Unlike Mexican restaurants that tout one “signature” guacamole, Bar Rita has four different concoctions on its menu. One features truffle crema, cotija and charred corn; another has spicy tuna, sriracha and mango—and then there’s Rita’s Queso-Mole, with green chile cheese (served hot), topped with bacon chunks, crema and pico de gallo.